The UK Foreign Office currently rates 47 countries around the world as highly likely targets for Islamist terrorist attacks. While this threat spans over much of the Middle East and North Africa, it also extends to Western countries such as the United Kingdom and France. While the threat of terrorism in the Middle East is both quantitatively and qualitatively different than in the West, Western European states today are generally confronted with similar risks and face equal likelihoods of violent terrorist incidents. Yet, despite similar threat levels and a comparable threat perception emanating from the public, states such as the United Kingdom and France have developed starkly contrasting domestic counterterrorism legislation and practices. The divergent approaches between these countries are best explained by highlighting the different institutional characteristics of their respective security agencies and the normative context in which they operate. In reaction to the 9/11 attacks, Western governments such as in the UK and France made extraordinary changes in their counterterrorism legislation to enable the gathering of court-admissible evidence at the early stages of investigations. By doing so, they embraced a preventive logic of counterterrorism and moved away from solely responding to similar attacks. 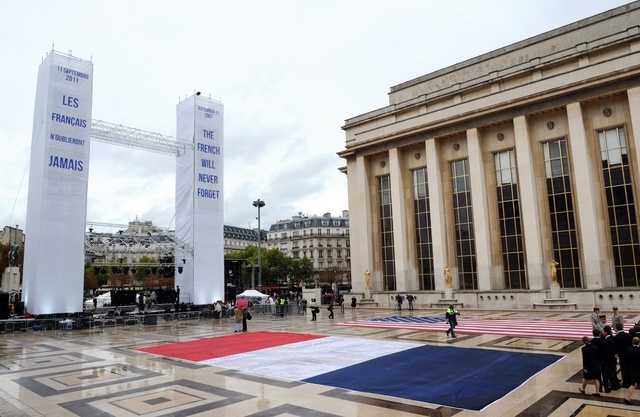 Even before 2001, counterterrorism efforts in France were characterized by a consistent willingness by security agencies to make forceful and extensive operations in response to a threat. Between 2001 and 2010, France deported 129 alleged terrorists who were considered a threat to its national security. Five weeks ago, French lawmakers approved the fifth extension of the country’s state of emergency – which grants special security powers of search and arrest to police and intelligence agencies. In the United Kingdom, only nine individuals were removed during the same period and the approaches used by British authorities have been marked by relative constraint when arresting and prosecuting terrorist suspects. In his research on counterterrorism and operational routines in Britain and France, Professor Frank Foley found that distinct institutional developments and societal norms in both countries contributed to lasting differences in how each state performs its counterterrorism strategies. Broadly speaking, French security agencies developed early forceful operational routines resulting from a spillover threat from the Islamist insurgency in Algeria in the 1990s. This led its agencies to develop capabilities for large-scale arrests both inside of France and in Algeria or Morocco. A continuous high threat perception and relatively little backlash from civil actors and the media contributed to increased competencies of security agencies over time and strengthened their ability to conduct large-scale raids and arrests on suspects. Furthermore, France accords special legislations to deal with counterterrorism. For instance, it allows for early cooperation between the judiciary and security agencies through so-called ‘investigating magistrates’. It has established special non-jury courts that encourage a broad interpretation of what counts as terrorist offences through an association law, thus making prosecutions and deportations easier to sentence. Despite such measures, France was affected by several terrorist attacks in the past few years. However, the absence of large-scale criticism against Hollande’s prolonged state of emergency laws, which according to Human Rights Watch pose ‘excessive and disproportionate restrictions on fundamental freedoms’ complements the notion that security norms have trumped concerns for liberal and human rights values in France. Unlike France, where the normative consensus focused on securitisation and allowed for extensive counterterrorism strategies, counterterrorism policies and judicial regulations in the UK demonstrate a different picture. Historically, the United Kingdom did not face Islamist terrorist threats prior to the Global War on Terror post 9/11. An example of the different environment in which British counterterrorism operated was the inability of the government under Prime Minister Tony Blair to assure British courts and the public that deportations of alleged terrorists to countries in the Middle East and North Africa – where their life integrity rights could be under threat – would be a legal and acceptable practice. Moreover, attempts in 2005 to increase the pre-charge detention time for alleged terrorist suspects from 14 to 90 days was met with strong criticism from civil rights NGOs and large sections of the media because it encroached on the suspect’s right to a trial within reasonable time. Subsequently, this bill was voted down. In his research, Foley also contends that British security agencies found themselves in a normative and societal consensus placing a strong emphasis on respect for minority communities, thus making mass arrests of ‘likely suspects’ as in France less acceptable. Furthermore, embedded values such as the principle of political asylum and the right to freedom of speech in British society are likely to have constrained security agencies in their operational approaches. In the UK, prosecutions of suspects are conducted through the ordinary English court system with its standard jury-trial and without major modification of the evidence-testing processes such as in France. However, it would be far from the truth to depict the UK’s counterterrorism efforts as flawless and perfectly acceptable in the light of their potential effects on rights and liberties. Increased threat perceptions and actual indiscriminate attacks throughout Western Europe linked to the Islamic State or self-radicalised individuals have prompted a strong response by security agencies. The British government continues to expand funding and capabilities for its official counterterrorism strategy, including increased surveillance through the mass acquisition of communications data, and an increase in operations both domestically and abroad certifies this change. While a well-funded and effective counterterrorism strategy is welcome in wake of growing threats to public safety, governments should be careful in maintaining the balance between securitisation and liberty, and between force and the proportionality of its application. Felix (@felix_manig) is a postgraduate in International Relations at King’s College London. He focuses on conflict resolution strategies, political violence, and human rights. Outside of academia, he is Series Editor at Strife and advocates for human rights defenders across the world at Peace Brigades International. Foley, Frank. “Reforming Counterterrorism: Institutions and Organizational Routines in Britain and France.” Security Studies 18, no. 3 (September 18, 2009): 435–78. doi:10.1080/09636410903132920. Foley, Frank. “Countering Terrorism in Britain and France.” Cambridge University Press. Accessed December 25, 2016. http://www.cambridge.org/vn/academic/subjects/politics-international-relations/international-relations-and-international-organisations/countering-terrorism-britain-and-france-institutions-norms-and-shadow-past?format=HB&isbn=9781107029699. Copyright © 2019 Strife Blog. All Rights Reserved.